Olivier Giroud has found first team football hard to come by this season, with Arsene Wenger seemingly preferring the more mobile Theo Walcott up front. The Frenchman claims the manager is right to have dropped him, and believes as things are going so well there is no reason to change anything, as reported by Goal. We struggled for goals early on this season, with a number of players failing to find their best form. 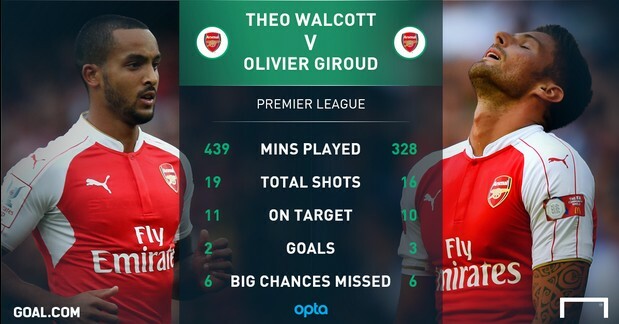 Giroud hasn’t exactly done much wrong recently, but we’ve looked a far better side with Walcott in the team. The pacy Englishman has really grown into the striker’s role, and his movement and holdup play have been remarkably good. Giroud has admitted that it’s strange for him to be second choice at a club, but insists that he will work harder to win back his place, and that Wenger has no reason to restore him to the starting lineup the way things are going. “It [not starting] is something new for me. Whether it was at Tours, Montpellier or Arsenal, I have never experienced a situation like this, I have often played from the start,” he is quoted in L’Equipe. “I need to take positives and to harden myself mentally. I cannot simply take refuge in work. “At Arsenal, I am in competition with Theo [Walcott] for the striker position. But he is doing well at the moment, so there is no reason to change. 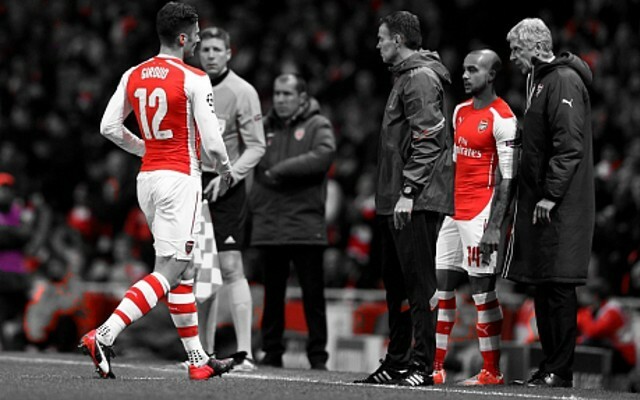 I was in his place in previous seasons at Arsenal. I imagine what he must have been thinking. But I feel that the coach believes in me. We are badly in need of a world class striker, and many fans feel our deficiencies in that area are the main reason we’ve been unable to challenge for the title in recent years. Giroud has done well since his arrival, but arguably isn’t the calibre of striker we need. He gets a lot of rather unfair criticism because of it, with fans directing their anger over Wenger’s inability to sign a top class forward at Giroud. Competition is important though, so it’s excellent that we now have two players vying for the centre-forward spot. Giroud has had nobody really testing him or pushing him for his place in the team up until now, so hopefully it will help both he and Walcott improve their game. Their stats aren’t actually that dissimilar this season, with Giroud arguably edging things on paper. When you watch their performances however, you can see what Walcott brings to the side. He seems to have an excellent understanding with Mesut Özil and Alexis Sanchez, and looks to be growing into the striker we need.